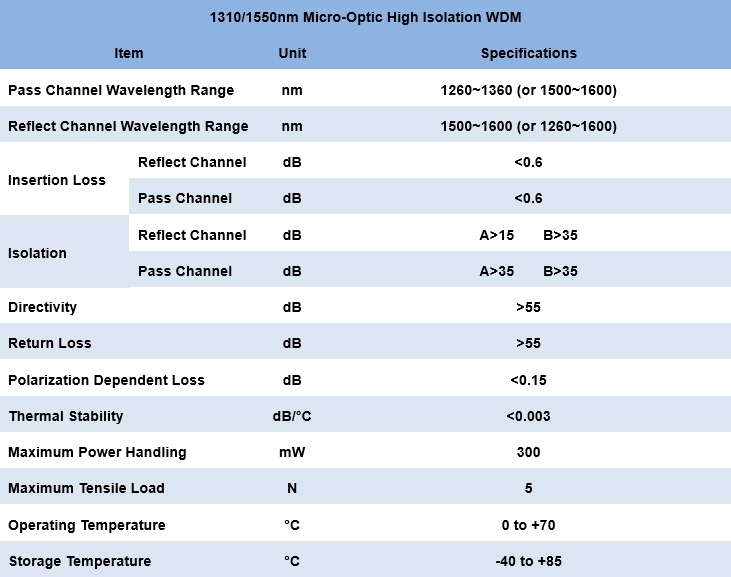 Optowaves’ High Isolation WDM applies optical filter technique to achieve dual-wavelength multiplexing and demultiplexing. It can double the optical transmission capacity and make bi-directional communication available within single optical fiber. The device meets Bellcore GR-1209-CORE requirements.